Anniversary sessions are my favorite kind of couple’s session. There’s no wedding planning stress and they’re still in that blissful honeymoon stage. It’s awesome! 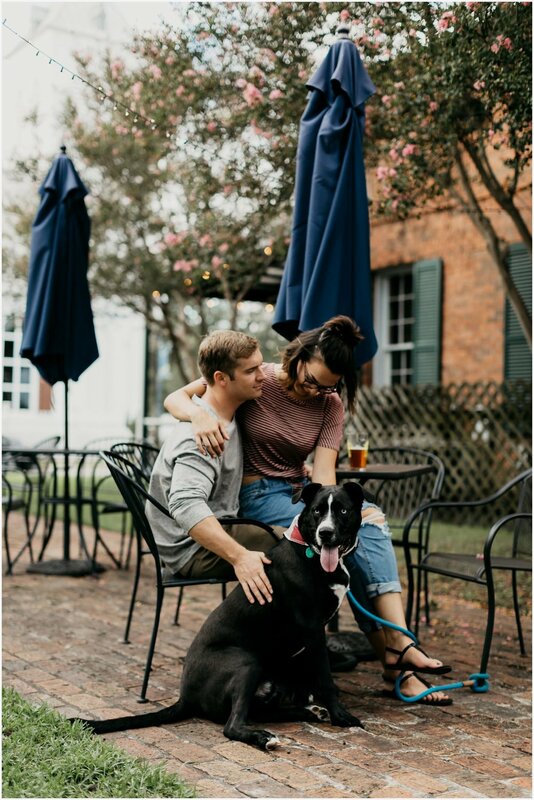 When Michael and Kira asked if I could photograph them with their dog , Diego, at their favorite date spots in Downtown Pensacola with a mini picnic, how could I say no! I think I’m getting pretty good at being a professional third wheel. Outfit changes are an awesome way to change it up and add variety. It’s great if you’re wanting want to get fancy and casual photos. 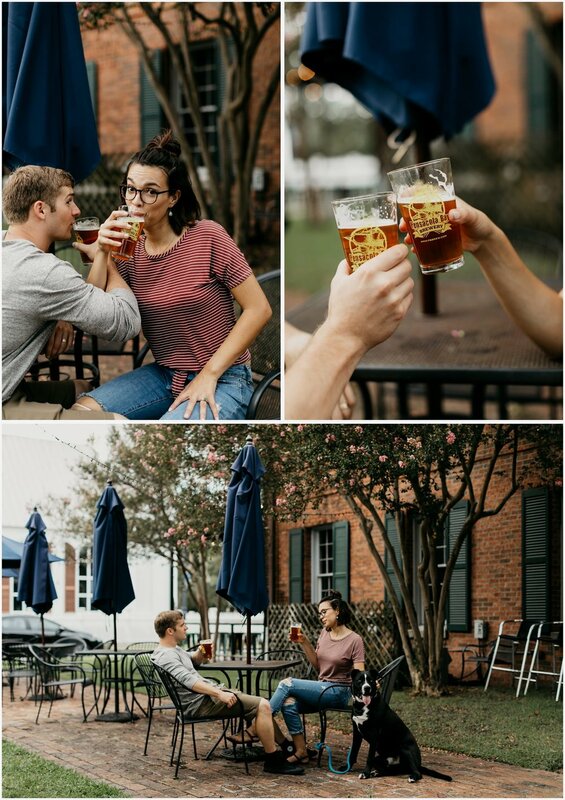 We took a quick stop at Pensacola Bay Brewery and that’s when things really got fun!